Pompeii was an ancient Roman town-city near modern Naples, Italy that was mostly destroyed and buried under 4 to 6 m (13 to 20 ft) of volcanic ash and pumice in the eruption of Mount Vesuvius in AD 79. 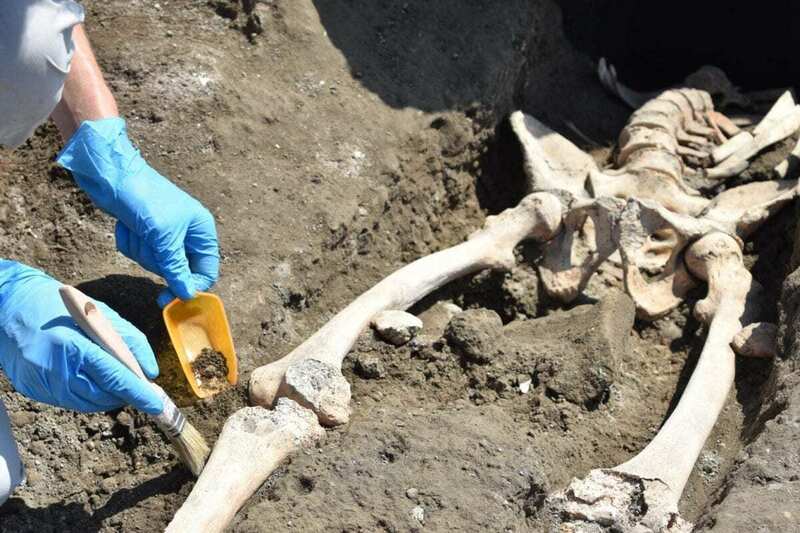 Archaeologists made the discovery at the Pompeii archaeological park at the crossroads of Vicolo delle Nozze d’Argento and the recently unearthed Vicolo dei Balconi, which extends towards Via di Nola. Initial studies suggest that the individual survived the first eruptive phase of the volcano, and subsequently sought salvation along the alley now covered in a thick layer of lapilli. 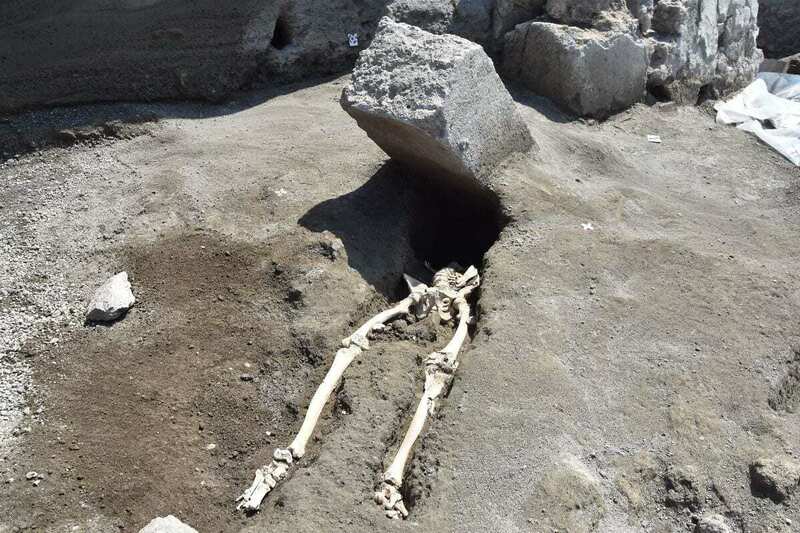 In the ensuing pyroclastic eruptions, the victim’s thorax was crushed by a large block of stone that was violently thrown by the volcanic cloud. This collided with his upper body crushing the highest part of the thorax and yet-to-be-identified decapitated head that possibly lies under the stone block. Anthropologists have identified the victim as a 30-year-old male who suffered from lesions on the tibia that indicate a bone infection. This would have caused significant walking difficulties, enough to impede the man’s escape at the first dramatic signs which preceded the eruption. Archaeologist Massimo Osanna describes the discovery as an “exceptional find” and increases our understanding of the “lifestyles as well as the dynamics of their escape from the eruption”.